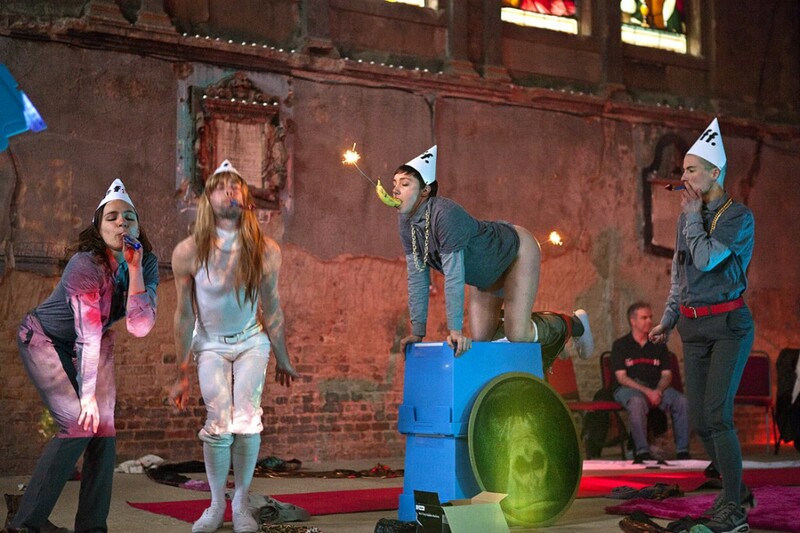 Somewhere between a travelling cinema and theatre troupe, a kiss-a-gram and a ludicrous political freedom party , London-based artist Oreet Ashery’s Party for Freedom is an itinerant work that combines live performance with moving-image and an original album soundtrack. An invitation for self-organised gatherings, of 10 people and over, to host and experience the work – anywhere from a sitting room and work place to public spaces and venues. 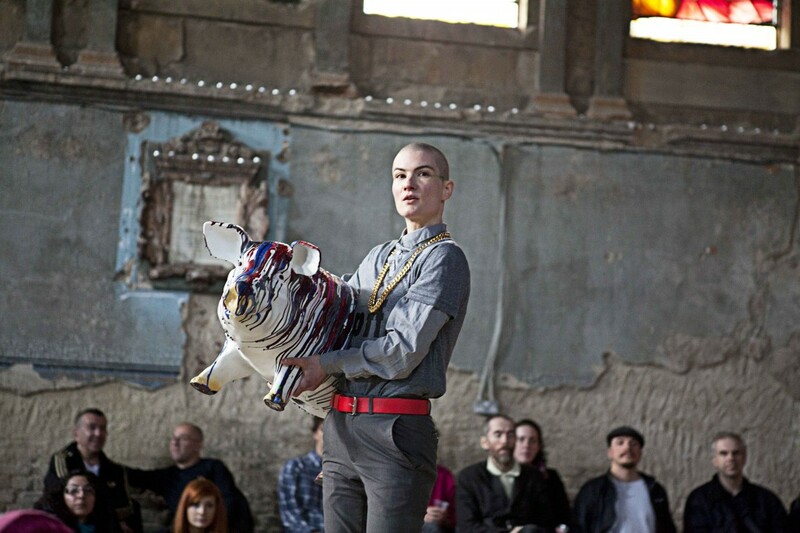 During 2013 Party for Freedom | Party for Hire was performed 25 times at invited private and public space, those have included homes, offices, pubs, clubs, art schools and self-run art spaces. The work was launched with a live concert at Millbank Tower, at the same building complex as the Conservative Headquarters, on May the 1st reclaiming the day back from its changed date to suit bank-holiday schedules. The project has also included a series of events titles Party for Freedom | People V Freedom, and included an event at OrganicLea titled On being offensive/People vs Freedom on UK visas, immigration profiteering and state control, With Shaista Aziz, Manick Govinda, Kenan Malik, Corporate Watch and Precarious Workers and a talk by Silvia Federici titled People vs Freedom on land, animals and women. Also took place, a conversation with Ashery and Tirdad Zolghadr, chaired by T.J. Demos at Friends House. Party for Freedom is loosely based on Vladimir Mayakovsky’s 1921 play Myster-Bouffe, telling the story of the Clean and the Unclean. It explores performances of liberation and political ideas around nakedness; and responds to the series of events changing landscape of Dutch politics following the assassinations of right-wing politician Pim Fortuyn in 2002 and film director Theo van Gogh in 2004, and the ensuing popularity of Geert Wilders, the Dutch politician and leader of the far right Partij voor de Vrijeid [Party for Freedom]. 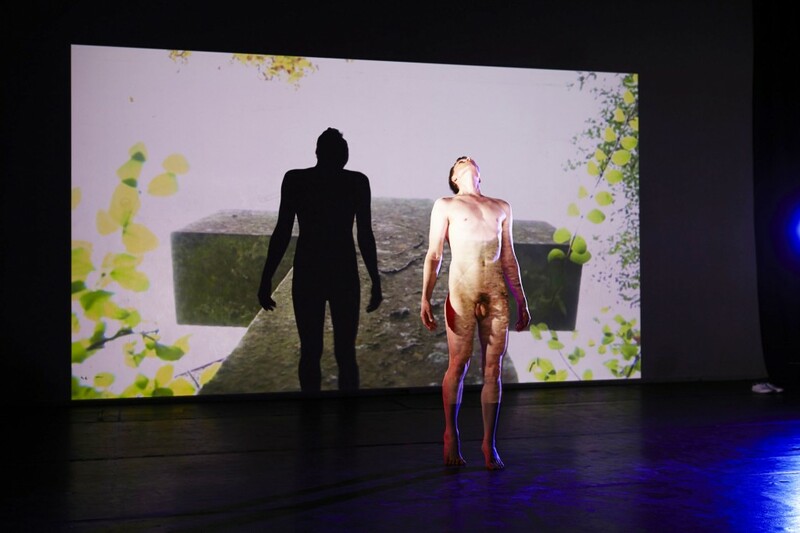 Through an intense period of devising and rehearsing, the live performances responded to the Party for Freedom | An Audiovisual Album and thus creating a relationship between two sets of communities of artists and performers and between live and recorded time based works. 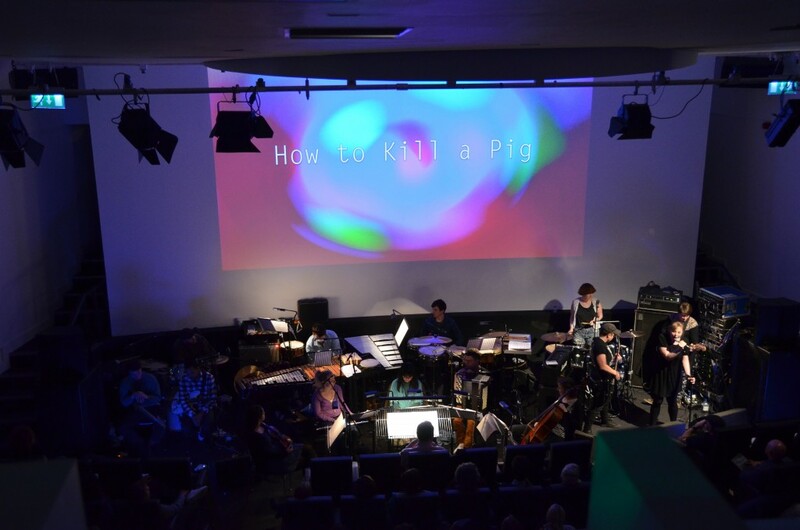 Both the live performances and the moving-image AV album are currently used for looped 3-screen projections. All images are by Manuel Vason and were taken from invited performance at Goldsmiths, Asylum, and from a performance for camera session. Last image is of the live concert on May the 1st at MIllbank Tower. Supported by: Art Council England, Artangel, Kone Foundation, Funen Art Academy and Performance Matters, a collaboration between Goldsmiths, University of London, University of Roehampton, and the Live Art Development Agency, financially assisted by the Arts and Humanities Research Council.